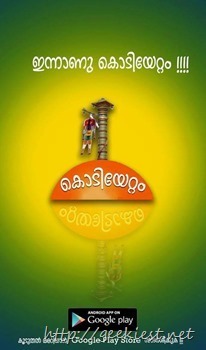 Now here is an Android application using which you can get the details of every day activities related to the Thrissur pooram. The application also includes details about the Koodalmanikyam Festival. The application will be updated with the details of almost all festivals of Kerala. So for the festival lovers this Android application will be a good companion.